Cycle on beautiful roads and bike paths passing through rice paddies and flower filled fields. Cultural exploration of Tainan including ancient temples, neighborhoods and fortresses. Over the course of six magical days, guests circle the island in a relaxed, leisurely fashion, exploring astounding Taoist temples and serene Buddhist monasteries, bicycling through rice paddies and hiking mountain trails, soaking in hot springs and dining on fine Taiwanese delicacies. Included in the price of this group tour are accommodations in stylish boutique hotels (two guests per room) for all nights, daily buffet breakfasts, a comfortable private coach with a professional driver, a knowledgeable English speaking guide, travel insurance and all entrance fees. While some "around the island" tours leave guests exhausted, ours leaves them energized, enlightened, and thoroughly satisfied. After leaving Taipei City, we’ll head down the picturesque east coast of Taiwan, past beautiful beaches and towering cliffs before reaching Taroko Gorge National Park. We’ll spend the afternoon hiking through canyons, past raging rivers and cascading waterfalls before calling it a day and heading to our hotel in seaside Hualien City. That evening you’ll have the option to venture out on your own to dine at of Hualien’s relaxed night markets. It’s the middle day of the tour, so it makes sense that today we’ll be curving through Taiwan’s southern banana belt region before turning northward up the western coast. We’ll spend much of the day exploring the grounds, pavilions and statues of Taiwan’s Fo Guang Shan Buddhist monastery, the largest of its kind in Taiwan. Afterwards, we’ll head to Tainan and explore Taiwan’s spiritual capital (and oldest city), stopping to experience some of the city’s famous culinary delights. On Day four we’ll dive in for a deep exploration of Tainan, Taiwan’s oldest and arguably most culturally significant city. We’ll walk along cobblestone streets build during the Qing dynasty, visiting ancient temples and fortresses once belonging to various colonial powers looking for a toehold in Formosa. In the afternoon we’ll visit the Guanziling Mud Spring for a healing soak before heading north to spend the evening at the tour’s next port of call, the town of Chiayi. After breakfast in Chiayi, we’ll head out to the old town of Lugang, which boasts 200+ temples dedicated to a variety of folk deities. We’ll wander the old streets stopping to explore some of the town’s most important temples (including the Longhsan and Matsu temples) before delving further into the towns craft and culinary traditions. After spending the day immersed in history, we’ll head out to the art filled city of Taichung. On the tour's final day we’ll head out to arguably the most beautiful spot in Taiwan, majestic Sun Moon Lake, whose azure water and picture perfect shoreline have inspired poets for centuries. We’ll spend the afternoon on and around the lake before heading to the Maolanshan tea plantation for a tour (and some tea). We’ll then complete the circuit by driving back to Taipei for some well-earned shopping at Taipei 101! We took a private tour around Taiwan of 6 days. We visited some amazing places around all the island (Taroko, Sun moon lake, Alishan, Tainan...) and the guide Jett was really helpful and friendly. We are super grateful with him for being the best guide we ever had.100% recommendable! Amazing experience and very enjoyable trip! Amazing experience and very enjoyable trip! We spent a total of 6 days - jiufen, hualien, taroko gorge, sun moon lake, alishan and Kaohsiung. 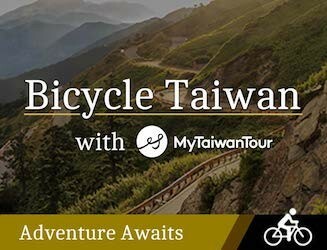 I would highly recommend you to try My Taiwan Tour if you want to visit Taiwan, speak little or no Chinese and need someone to help you plan your trip. Right from the enquiry to planning, booking and the actual trip itself, everyone was really courteous, polite and helpful. We basically customised our trip and have been going back and forth with Susan (our liaison) many times. She was very polite and helpful and would give suggestions on what's best based on what we are looking for. She also constantly keep in touch with us, as we booked our tour packages quite a few months before our trip making sure we are updated at every stage of the process. Compared to your regular tour company (tour buses with jammed packed itinerary), the prices offered by My Taiwan Tour is more expensive but if you are looking for something free and easy which is catered to your own pace/needs then this is definitely worth your money. We had Bill Wang as our tour guide/driver and he is very helpful, very knowledgeable, funny, friendly, and was very willing to explain stuff to us. He also recommended some really good food to try out at different areas that we went to. He also brought us to places to buy local Taiwanese products and make sure that we pay decent prices! Bill is also a very safe driver making sure that we (the passengers) are ok on the mountainous windy roads. He is also willing to swap the itinerary around depending on the weather conditions and how we are on the day. Overall we wouldn't have enjoyed our trip as much if not for My Taiwan Tour so thank you very much! 135 people have browsed this in the last week.